Open Facebook in a new window or tab. Open Twitter in a new window or tab. Open Linkedin in a new window or tab. Open Instagram in a new window or tab. Corner of Stratford Rd and Hanes Mall Blvd. *Music is played every Wednesday as scheduled above, weather permitting. With extreme attention to detail and superior service, bartenders pour a large selection of unique handcrafted and micro-brewed bottled and draft beers, as well as crafting a variety of specialty cocktails and special-recipe martinis. Innovative concoctions are served from our chic bar, making for the ultimate space to people watch and unwind with friends and colleagues. Village Tavern also offers an award-winning list of premium wines available by the glass, bottle or in tasting portions. 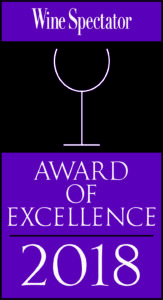 Recognized by receiving the Wine Spectator Award of Excellence, each guest is sure to find the ideal complement to their meal and palate. Village Tavern is committed to keeping our web site compliant with the Americans with Disabilities Act. Our goal is to develop a website that is accessible to everyone. Please direct any accessibility feedback to our general contact form, below or call (336) 714-4039. Click here to visit our contact form.